Note:This is another super-short piece originally published in Liguorian. Once again, in my own defense, I'll say they picked the word length (540 words! ), not me. St. Francis Xavier brought Christianity to Japan in 1549. Sixty years later, while there may have been an estimated 300,000 Christians in Japan, the apparent success of the Church’s mission was about to come to an end. The shogun who had reunited Japan after years of civil war had grown suspicious that the foreign missionaries were paving the way for conquering powers. In 1614 missionaries were expelled from the country and Japanese Christians were presented with a choice: either apostasize or be brutally killed. The terrible persecution of Christians in Japan in the early seventeenth century produced thousands of martyrs, a fascinating underground hybrid church called Kakuro which survived hundreds of years in secret, and an enduringly ambiguous relationship between Japanese culture and Catholicism. As a Christian child in Japan, Endo was taunted by his peers for his religion. As a student come to France after World War II to study Catholic novelists, his faith was irrelevant to those who may have shared it, but who deplored him nonetheless because he was Japanese. It seemed, at that point, that it would have to be the suit that changed – it brought him nothing but suffering. But on the way back to Japan from Europe, Endo visited Palestine. In walking where Jesus himself had, he came to understand that the Christianity he had known was incomplete, for it had never revealed to him the Jesus who had lived, suffered and died for the outcast. It was this Jesus, he realized, who could reach beyond culture and connect with the Japanese soul. 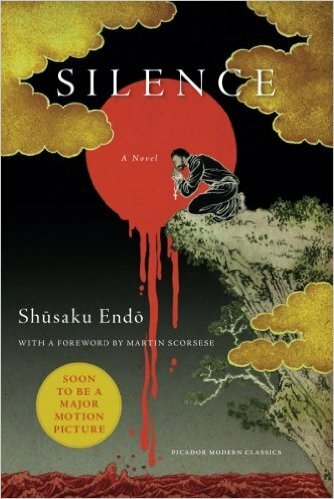 In his great novel, Silence, Endo uses the background of persecution to contemplate these knotty questions. He gives us the story of a young Portuguese priest named Sebastian Rodrigues who travels to Japan from Macao to confirm the impossible news that his mentor, Father Christovao Ferreira has apostasized. Rodrigues arrives in Japan, his trusting faith nourished by the memory of a treasured face of Christ, full of “vigor and strength,” an image that expresses the certainty of God’s presence in his mission. But events quickly turn. Rodrigues is disturbed by the simplistic faith he finds among peasant converts and stunned by the brutality of suffering they endure when discovered by their persecutors. As he attempts to make his way to Nagasaki, avoiding the authorities, alternately guided and betrayed by a Judas-like figure named Kichijiro, his questions mount, and where once he had found certainty, he increasingly hears only silence. And does the silence break? I must leave you to open the pages of this moving, provocative novel to answer that question for yourself.